Abortion, assisted suicide, the hookup culture, homosexuality, and transgenderism are the part of the new secular orthodoxy being promulgated through nearly every major social institution. Though it is easy to get caught up in the latest controversy or breaking story, the real issue is what happens at the level of one’s worldview. By learning the core principles of this secular worldview, Christians are better equipped to engage non-Christians intelligently and compassionately on issues of moral importance. 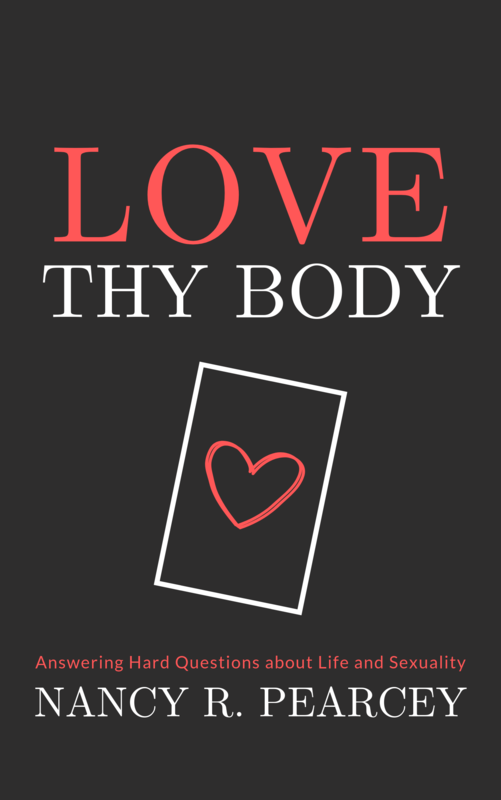 Love Thy Body helps us to do just that. It takes readers behind the scenes of the humanist worldview and dissects the underlying principles driving the advance of this secular moral revolution. Though we live in a moral wasteland, the answers to hard questions about life and sexuality can be found in the biblical worldview that expresses a positive, life-affirming view of the human person. That view is revealed in the pages of this book. Nancy Pearcey has been a visiting scholar at Biola University’s Torrey Honors Institute, professor of worldview studies at Cairn University, and Francis A. Schaeffer scholar at the World Journalism Institute. Currently she is professor of apologetics and scholar in residence at Houston Baptist University, a fellow at the Discovery Institute’s Center for Science and Culture, and editor at large of The Pearcey Report. Formerly an agnostic, Pearcey studied in Heidelberg, Germany, in the early 1970s, and in Switzerland at L’Abri Fellowship under Francis Schaeffer. She earned a BA from Iowa State University, an MA from Covenant Theological Seminary, and pursued graduate work in history of philosophy at the Institute for Christian Studies in Toronto.